I am new here so first I will introduce myself, my name is Ron and I love hedgehogs, I have 6 in my care, 4 of which go out live on the net most nights. And before anybody asks are you the one on the TV last week with some hogs the answer is yes, I have cams in feeding stations, hog boxes and on the little ones. So if anybody wants a little info on the cams if I can help I will. Thank you for joining, and also thank you for letting me use your videos on the website. 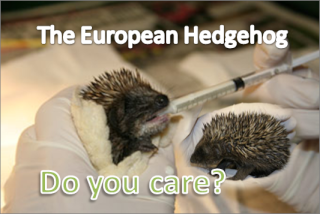 Great to see that there was some coverage on T.V about the Hedgehogs- good on you! Good for you getting on T.V! Your Hedgehog videos are great. I'm thinking about getting a cam fixed into the Hog House- just to see what really goes on in there! It's great to see somebody who actually makes great videos, all the more reason for me to get one! Well done on getting on T.V- and welcome to the Hedgehog forum! it's a bit knew so it's great to see lots of members joining already. It's good to have you here, your videos are wonderful! Hi and a big welcome to you ! Over use of this smiley! Sorry I did not say 'welcome' earlier- have not been online much you see.